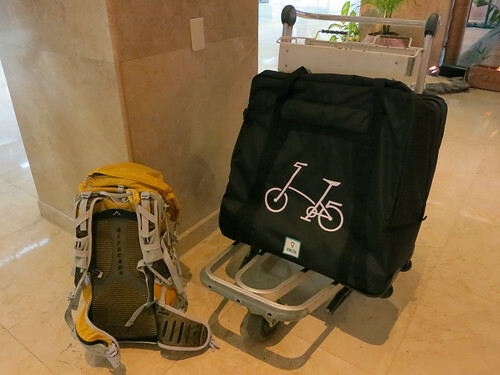 [Review] B132 Vincita Transport Bag review by Unfold and Cycle – Vincita Co., Ltd. I first heard of Vincita, a Thai company specializing in bike bags, a couple years ago, when they attended a Thai Trade fair in Metro Manila. They were selling panniers, top tube bags, and handlebar bags for significantly low prices and with great quality. I checked out the showroom a day late so most of the goodies were already bought but I picked up a couple of things and was pretty happy with them. Of course you can’t compare the items with similar products from Ortlieb or Topeak, for example — but they were a fraction of other brand’s prices and were good enough for daily abuse. Due to a tip from my friend Kris, I made a note to pick up the latest incarnation of their B132 Transport Bike Bag when I was in Thailand. 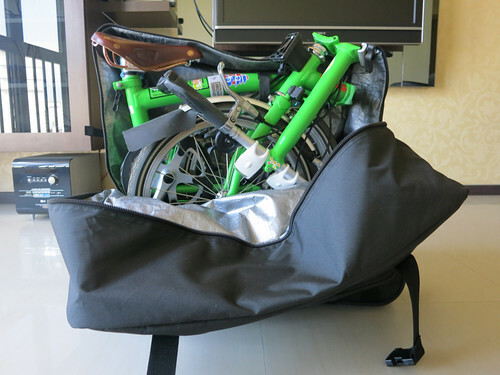 It’s a lightweight, soft bike bag with 5mm thick foam padding, roller wheels, shoulder carry straps, and dimensions perfect for a Brompton. And at THB 1,890 (around US$60 or S$80), it’s a total steal! I contacted Vincita and found out that they didn’t have this particular model available in their shops yet. 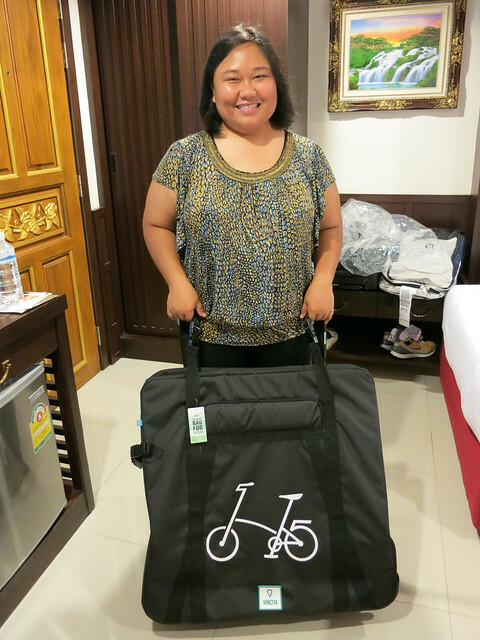 Fortunately, Gem offered to deliver a couple bags directly to my hotel in Bangkok. What a sweet gesture! Thanks once again! The above photos were all taken while packing up for my Cebu/Dumaguete trip. I ended up choosing the Brompton and went mostly multimodal on the island. The bike bag was perfect! As you can see below, it survived the flight!